Discussion in 'Transformers Video Game Discussion' started by THE-TRANSFORMER, Jan 24, 2016. Autobot alliance: 4* Snarl for the Dinobot combiner Volcanicus, and 3* Wheeljack. You know, I'd go so far as to say that the design problems with Earth Wars stem from the fact that, blatantly, none of the developers actually play it - outside of a bit of testing. What I mean is that none of them, I'm betting, have a standard base that they build up daily as a way of evaluating the long-term user experience. If they did, they'd never have stuck with Raid mode as it is now, with its cheap shot shock towers and boorish grind. Wasn't raid mode tested by the top alliances? And with design you mean buildings? These squad cores are kind of worthless, it seems. Got a few level ups. Maybe too many. The helping part makes it hard. Too many players. And since when do we have 12 good prime cores? I mean game design in general. Testing it with top alliances who want to get rewards is completely different to making something you're prepared to play yourself in the same way you expect others to play it. If your game isn't something you could see yourself sitting down and playing for sheer enjoyment (other commitments notwithstanding), then what the hell are you doing? It seems to me an elementary aspect of good game design that defeating lots of enemies, or defeating clever, sophisticated enemies, is always going to be more rewarding than defeating a grunt enemy with a gazillion health bars. The moment they started doubling up the health bars in order to make raids more 'challenging' was the moment they gave up trying to make this an entertaining game mode. cylence Always the quiet one.. So I'm looking for a new, smaller Autobot alliance after TFW merged with TF OPS. Maxed base, 15-16k war team, FTP 10-30k event points depending on what else is going on any particular weekend. Main gotcha is weekday play averages 0-3 times a day, so limited war participation. I don't give a damn about leaderboard placement, just want an alliance that finishes events and in game/line chat isn't filled with meaningless noise. Er, OK, new thing: apparently Space Ape have started seconding me and other alliance members as Decepticons? They're painting my base in Decepticon colours and giving it to Autobot teams to attack? Yes that was a recently implemented game balancing feature so cons getting attacked at such a higher rate than bots would be minimized. As a con getting attacked several times a day in zone 14, it was needed and balanced things a lot. 5* Shard event this weekend... new poll for the next "player's choice" 5* bot... and a second dual-faction bot coming next: Impactor. 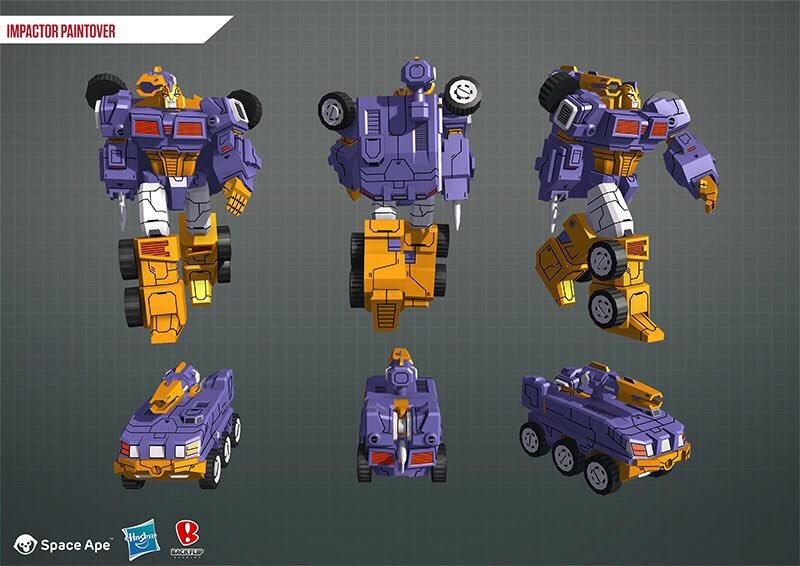 Hmm Timelines Impactor and still we haven't got Rook. Well I never thought I'd be able to say this, but I've got the shards for a new 5* crystal... and I'm not opening it. Gonna wait to see what the next batch is before I do.